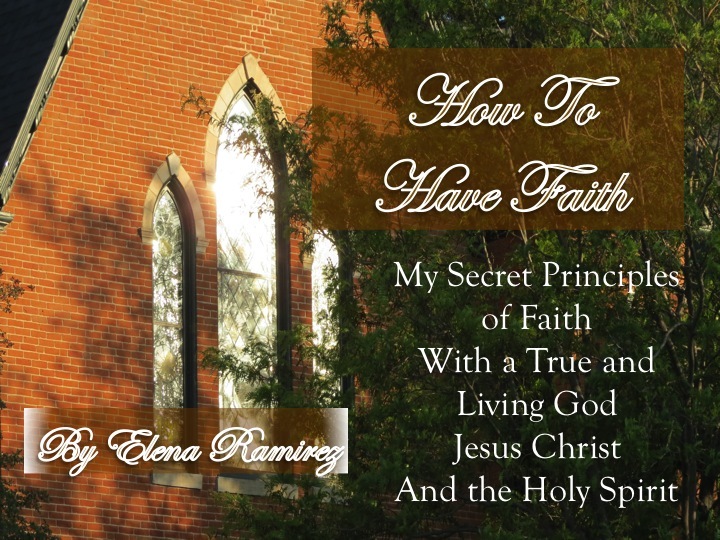 SEE http://howtohavefaith.wordpress.com for instructions to order the book. UPDATE TO ORDER BOOK CAN BE OBTAINED BY GOING TO THIS TOP LINK….. Right now I am in the process of negotiations with printers or perspective publishers. So there is no due date, I can forecast, to give specifically, as to when the book will be available. But hopefully very soon, and when I know, for sure, I will put the date here on this post. So feel free, to check out this page, for more updates. But, I am so grateful to God, for the faith He has given me, to even write the book. You see, Faith, is not just as easy as saying believe. No, there are principles, and I have learned these principles, throughout, my Christian walk with the Lord, over thirty years of my Christian walk, the Lord, has taught me, what pleases Him. This is why I call them my “Secret Principles” because without understanding God in these principles, and what pleases Him, one cannot have faith that is strong. These principles as a testimony in my own life, have made me stronger. In my own faith, for I have learned in applying these principles, it makes faith obtainable, but strong. To know, with God, all things, are possible. So even here, I give Him all glory, honor, and praise, with gratefulness. If you knew me thirty years ago, you would not believe I have grown in this faith. Because I was lost. But I give thanks to God for my Salvation. So please just know this, and do not give up! Faith can make the difference. It can turn things around, and when we know these principles, it pleases God. And we all should know, faith pleases God! And that is what it is all about pleasing God. Knowing these principles, will please Him! Maybe you can relate, you feel lost, you feel broken, and you feel there is no hope. I understand that. And maybe you are a believer, but have lost your way as well, I can help you too. The book contains thirty four chapters. A total of 505 pages, that bring insight, and understanding to keep faith strong. And many of the topics will include these principles. To give insight, to have faith. * Whats in your heart you are speaking? * The fear of God is healthy for you…..
And there is so much more, in this anointed book that I pray will encourage you to build your own faith. And yes, I do say anointed. Why? Because to the glory of God, I felt Him by His Holy Spirit, guide me, instruct me, and even correct me as I wrote this book. Bringing things to my attention, as He spoke to me, here and there. To write, to give a foundation with scripture. Each chapter and principle, gives insight, and understanding according to scripture, to build that foundation with faith. You need to know these scriptures. That builds the foundation in faith. Feel free to communicate, with me, and be one of the first to order your copy in advance. ORDER YOUR COPY TODAY IN ADVANCE E-MAIL ME WITH INFORMATION….